Terramac has expanded its dealer network to include Wilson Equipment with locations in Louisville, Lexington, eastern Kentucky and southern Indiana. Wilson Equipment will offer Terramac’s RT9 and RT14 straight frame crawler carriers as well as the new 360-degree rotating RT14R unit. Wilson Equipment is participating in Terramac’s RT14R Tow and Show event and is scheduled to showcase the new unit to local contractors in May at their Lexington, KY location. 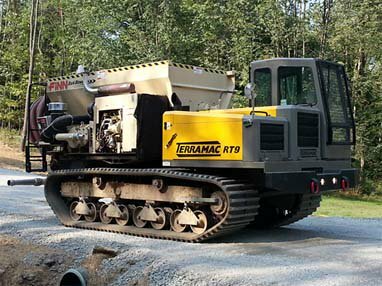 With the addition of Terramac crawler carriers, Wilson Equipment will serve building industries including oil and gas, reclamation, general construction, site development, utility and governmental. Wilson Equipment will also offer a variety of customizable support attachments for Terramac such as cranes, drills, generators and Hydroseeders, as well as Terramac’s three standard attachment options – convertible dump-to-flat beds, rock dump beds and flatbeds. The team at Wilson Equipment will provide professional sales, rental and support on the Terramac product line from their five dealership locations in Kentucky.